UWE Bristol awarded the Honorary Degree of Doctor of Business Administration to Vanessa Moon in recognition of her contribution and commitment to enterprise development, the third sector and the local community. The honorary degree was conferred at the Awards Ceremony of the Faculty of Business and Law at Bristol Cathedral on Tuesday 17 July at 17:00. Vanessa Moon is Managing Director of Moon Consulting Ltd, a leading Executive Search firm which is based in a beautifully converted Old Fire Station in Pill, Bristol with a satellite office in London. 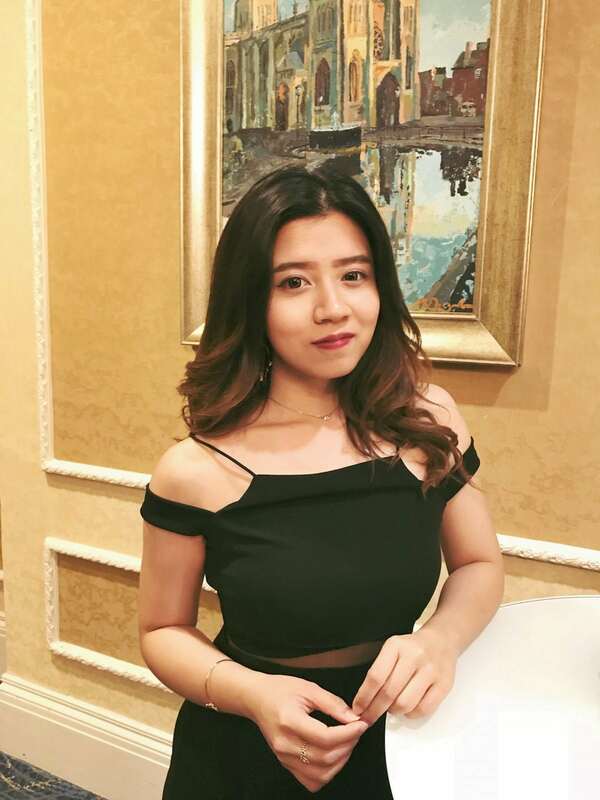 Vanessa co-founded the business in 2000 perceiving a need for a return to the personal touch in senior level recruitment and is a firm advocate of the company’s core values of being distinctive, ethical and approachable in all their undertakings. Moon Consulting has grown steadily to a full-service team of 11 managing high level and confidential executive search and head hunting campaigns for clients in the UK and Internationally. Clients range from start-ups, family owned concerns, major banks as well as AIM and FTSE Listed businesses. They also have significant experience in the ‘not-for-profit’ and charity sectors. Vanessa herself brings 30 years senior management and board level Executive recruitment experience, recruiting mainly board level roles for her clients; specialising in the placement of Non-Executive Directors, CEOs/ MDs, CFOs, Sales, Operations and HR Directors. Prior to Moon Consulting, Vanessa graduated from Aston University in 1983 with a BSc (Hons) in Human Communication and then worked for Rank Xerox. After that she worked for a US owned Accountancy recruitment firm moving to Bristol in 1992 to manage their regional office and then joined a Venture Capital Backed search firm before setting up Moon in 2000. Outside of Moon Consulting, Vanessa has always been involved with the wider Bristol community. She is currently Senior Warden of the Bristol Guild of Guardians and was appointed President of the Dolphin Society for 2017/2018. 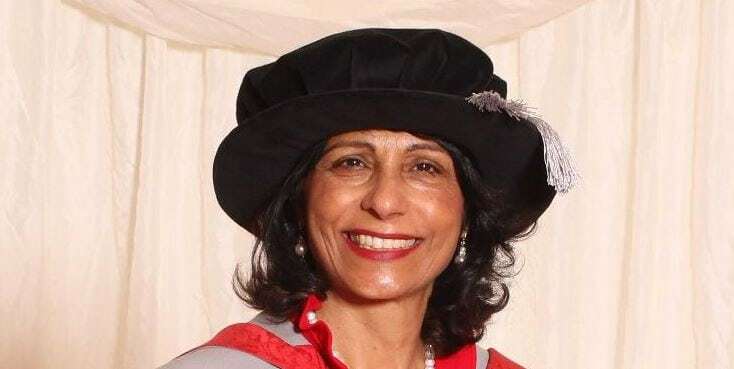 She is a member of the South West Regional Council of the CBI and is on the Advisory Board of The Faculty of Business and Law for The Bristol Business School at the University of the West of England. She is on the committee of the Lord Mayor of Bristol’s Children Appeal and Gift Gala, a Trustee with The Royal West of England Academy and a former Trustee of Spike Island. UWE Bristol has awarded the Honorary Degree of Doctor of Science to John Pullinger in recognition of his contribution to the communication of statistics and economics, particularly for the advice, support and engagement of the Civil Service with the higher education system. The honorary degree was conferred at the Awards Ceremony of the Faculty of Business and Law at Bristol Cathedral on Monday 16 July at 17:00. John Pullinger has been the National Statistician, Head of the Government Statistical Service (GSS) and Chief Executive of the UK Statistics Authority since July 2014. His role is to safeguard the production and publication of high quality official statistics by all public departments, agencies and institutions in the UK. On appointment he described his role as to mobilise the power of data to help Britain make better decisions. His priorities are to improve measurement of the economy, to bring better evidence to public policy debates and to enhance data capability. John’s career began in 1980 when he joined the Civil Service after graduating in geography and statistics from Exeter University. After several statistical, research and policy roles in different departments, John joined the Central Statistical Office as a senior civil servant in 1992. He was the project manager for the creation of the Office for National Statistics and was the policy lead on the development of the GSS. He worked on diverse projects and subject areas, including responsibility for flagship publications like ‘Social Trends’, leading the neighbourhood statistics programme as well as being actively involved in the creation of the Statistics Commission and National Statistics in 2000. In 2004, John became the 14th Librarian to the House of Commons a post he held until taking up his current role. John is a Chartered Statistician and was President of the Royal Statistical Society (2013-14). He has represented the UK internationally in EU, UN, OECD and other forums, was Chair (2015) and Vice-Chair (2016) of the United Nations Statistical Commission (UNSC) and is a member of the Board of the Global Partnership for Sustainable Development Data. John is married with three adult children. He was appointed as a Companion of the Order of the Bath (CB) in 2014 for services to Parliament and to the community, is a fellow of the Academy of Social Sciences and holds honorary degrees from the universities of Exeter and Essex. Professor Dr David Hong Tsung Lan is to be awarded the Honorary Degree of Doctor of Business Administration by the University of the West of England (UWE Bristol)in recognition of his long and prestigious career in government in Hong Kong and his contribution to international trade and education. Born in Shanghai, David completed his early education in Hong Kong, joining the Hong Kong Civil Service in 1961 before studying to become a Chartered Secretary in addition to earning an external BA degree from London University. During his time with the Hong Kong Civil Service, David worked in a variety of departments, including the Transport and Housing Authority. In 1979 David was appointed Official Justice of the Peace in Hong Kong. In 1988, he was appointed Regional Secretary for Hong Kong and Kowloon before being appointed to Hong Kong’s Principal Economic and Trade Representative based in Japan. In 1997, after the handover of Hong Kong, David became the first Secretary for Home Affairs of the Hong Kong Special Administrative Region (SAR) Government. David currently holds a variety of Board positions in the banking, commercial, infrastructure development and trust sectors including non-executive directorship to Nanyang Commercial Bank (Hong Kong) and Cheung Kong Infrastructure Holdings Ltd, Hong Kong. David has been conferred with many awards including Doctor of Humanities and two Visiting Professorships from overseas institutions. In 1991, David was awarded the Imperial Service Order for his services to the Civil Service and in 2000 the Gold Bauhinia Star Medal in recognition of his contribution to public service. The honorary degree will be conferred at the awards ceremony of the Faculty of Business and Law at Bristol Cathedral on Tuesday 28 November at 5pm. 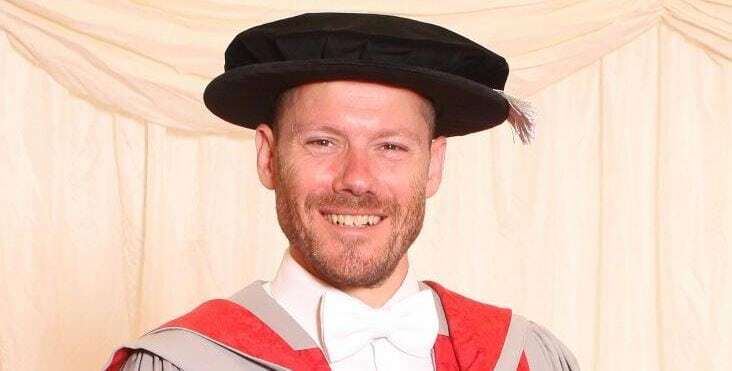 Andrew Lynch is to be awarded the Honorary Degree of Doctor of Business Administration by the University of the West of England (UWE Bristol) in recognition of his contribution to business and academic-business engagement. Andrew, 58, has served as assistant business editor of The Sunday Times since 2009. He graduated from Bristol Polytechnic, where he read humanities, in 1984 and joined the Bristol Evening Post as a reporter. After spells at the Financial Times, the Guardian and Sunday Telegraph, Andrew spent 10 years in Hong Kong as deputy night editor at the South China Morning Post and then editor of the rival Hong Kong Standard. He returned to the UK in 2002, working at the Daily Mail, the Evening Standard and the Irish Daily Mail in Dublin. He spent a year organising research and events for the Paris-based World Association of Newspapers. At The Sunday Times, Andrew oversees production of the business section as well as writing about small businesses or editing the diary column. He also arranges events focused on the business agenda and has produced magazines and supplements such as 50 Years of Business, The Start-up List and The MBA List. He also curates the annual Maserati 100 list of entrepreneurs. The honorary degree will be conferred at the awards ceremony of the Faculty of Business and Law at Bristol Cathedral on Tuesday 28 November at 2pm. Patricia Voaden and Ray Priest represented the Bristol Business School at the UWE Graduation held at National Economics University (NEU) on August 8th. 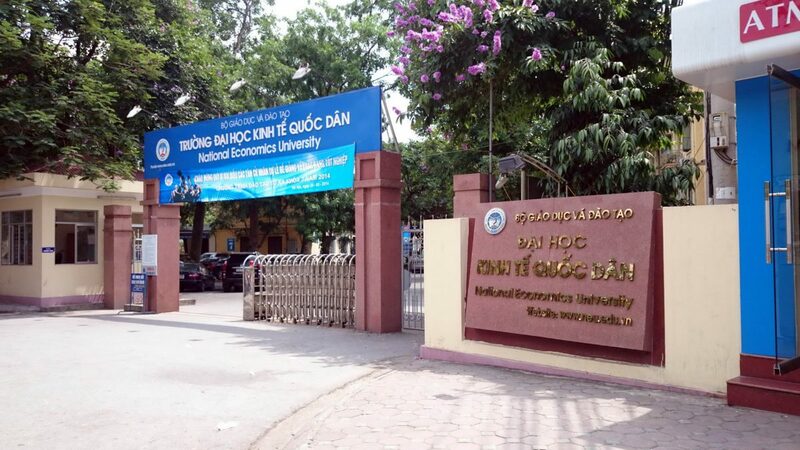 NEU is one of the leading universities in Economics, Public Management and Business Administration in Vietnam and is one of UWE Bristol’s partnership Universities. It is a prestigious centre for economic research and a consulting centre for economics and management. 51 students graduated from the BA Business Management and BA Banking and Finance degree programmes. Their success was celebrated in style with beautiful flower arrangements adorning the hall and hundreds of parents and staff in attendance. This was the ninth cohort to graduate with UWE degrees at NEU and, as always, the results achieved by students were outstanding. The new Vice President of NEUpraised the support his staff received from UWE colleagues and said that he was determined to expand provision by 2020 as part of their strategic plan. He commented that the values of both institutions in preparing students to be confident, articulate and caring graduates was what made our partnership so enduring and asked for his congratulations to the whole of the Bristol Business School to be shared. Congratulations to all who graduated. More information on our partnership with NEU and other institutions globally can be found here.